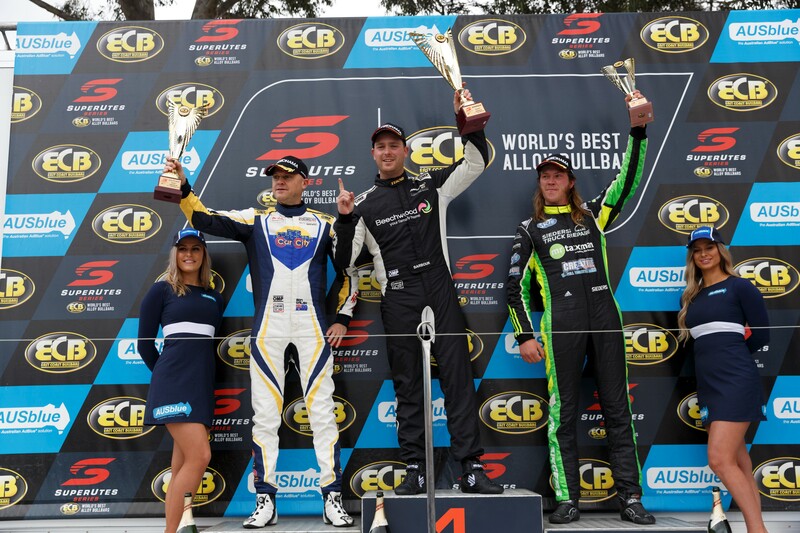 Elliot Barbour has taken out the Sandown round of the ECB SuperUtes Series with a commanding victory in the third and final race of the weekend. 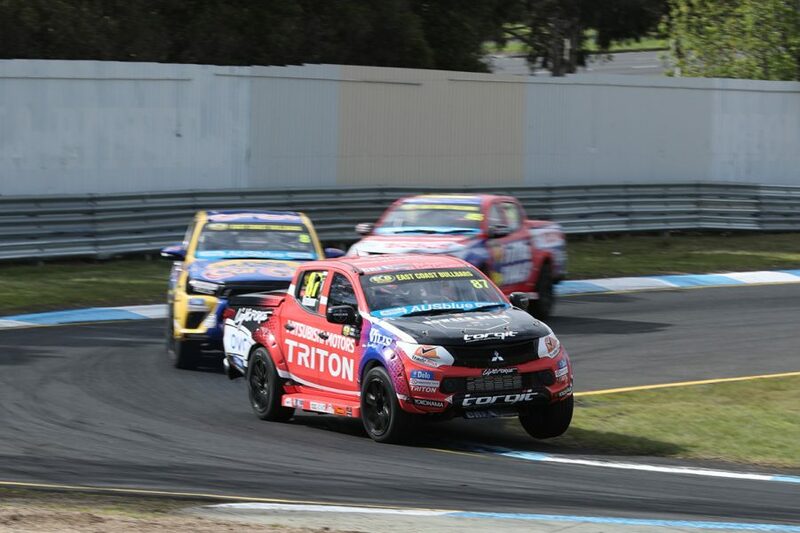 Barbour, filling in for Toby Price in the factory-backed #87 Mitsubishi Triton, led from start-to-finish, making the most of his front row start. The grid for the third 10-lap race was set on combined results from the first and second legs on Saturday, with Race 1 victor Barbour starting alongside Ben Walsh. Contesting his second SuperUtes event, Barbour bolted from the start and led Walsh early on, eventually finishing 0.6017 seconds clear of Walsh, who took second for the round. “It was a fairly straightforward race – I pushed hard on the first lap, and was able to build a gap to the cars behind," Barbour said. “Ben put me under a bit of pressure at the end, but I knew I had enough performance in reserve to hold him out. “It’s an awesome result for the Sieders Racing Team – both Tritons were rockets this weekend, as Mick demonstrated with the lap record in Race 3. Walsh said: “The pace at the front was hot – I didn’t quite have the speed of the Tritons, but I was able to keep Elliot honest. “After the damage from Race 2, the Western Sydney Motorsport crew did an awesome job to get the Ute back to as good as new, and it felt fantastic in that race. Micheal Sieders and Ryal Harris came together during the opening lap, as Harris was challenging down the inside of Sieders' Triton into Turn 2. The front-left of Sieders clipped the right-rear of Harris, with Sieders dropping to ninth and Harris to 10th, as Matthew MacKelden also got tangled in the scrap and forced down the order. Sieders, who won Saturday's second leg, battled his way back to take third in the race and round, while Harris regained four positions to finish sixth in the EFS 4x4 Racing BT-50. “At Turn 2, I was the meat in the sandwich because Tom [Alexander] was on my inside and Ryal was on the outside," Sieders said. “Obviously I didn’t mean to hit Ryal and I didn’t have anywhere to go. After that incident, the Triton wasn’t damaged at all and I was determined to finish on the podium, so I pressed on and was able to overtake cars one-by-one. Western Sydney Motorsport’s Craig Woods was fourth in his Hilux, missing out on a podium for the race and round by one position. With the weekend's results, Woods leaves Sandown with his championship lead having grown from 10 points to 19. “I did the best I could do, I just didn’t quite have the speed of Ben or the Tritons. 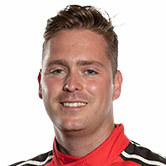 The main thing is I finished ahead of Ryal again, and extended my championship lead," Woods said. Tom Alexander finished fifth in the SP Tools Holden Colorado, followed by the Mazdas of Harris and Aaron Cameron, while MacKelden took home eighth. Tomas Gasperak was challenged by Christopher Formosa into Turn 1 on the seventh lap. Formosa had a look down the inside and crossed the grass before collecting Gasperak and spinning. Gasperak finished ninth in the AC Delco Colorado, ahead of Formosa in the Allgate Ranger and Steven Wilson who took the final spot aboard the Isuzu. “I was following Tomas and into Turn 1, he braked slightly early," Formosa said. “I braked hard and locked up, and tried to avoid Thomas by going across the grass on the inside, but unfortunately he turned in and we made contact. Round 6 will take place on October 4-7, as part of the Supercheap Auto Bathurst 1000.